A Buddhist Lay Man Dreaming To Buy A Ferrari! Want to learn and use some Sales Management Skills? Are you intend to start a business? Then, learning about sales and managing it would be the most important skill, to be cultivated. Selling is the bloodline of a business. Until an entrepreneur learns something about it, he might not be able to become a successful entrepreneur. May he has a good product or service to offer in better pricing in a better way than it's done by anyone out there in the market. Selling can be learnt, and sales management is part of the game. Be it as an individual salesman or a company which have a good number of sales professionals. So, in this post, I'm going to introduce the book "Sales Management by Brian Tracy". Brian Tracy, a professional speaker, a trainer whose work helped a lot of achievers to achieve their goals. His "The Psychology of Selling" is one of the masterpieces, to learn sales and to become a professional sales personnel. 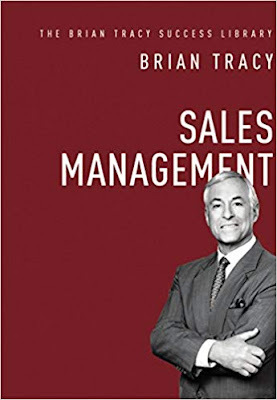 "The Brian Tracy Success Library: Sales Management" is a handy, ready reckoner kind of book, where he guides us with the system of managing sales. If you're a sales manager, entrepreneur or an individual salesman, then this book should help you in a lot better way to learn from it and to apply it. It has got 21 chapters and it is an edition for sale only in the Indian subcontinent. Click here to buy the book "Sales Management by Brian Tracy"